Resilience is the ability to overcome life’s setbacks by making an active decision to fight back and overcome them. It is not easy or fun but it is worth it! Financial resilience is a muscle that must be actively trained because it helps us to stick to our long-term goals like saving for your children’s future or for your retirement. 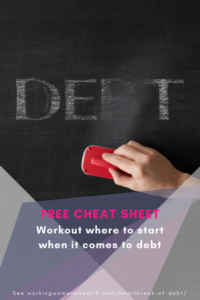 This type of resilience will help you to quickly adapt and work through financial difficulties that we often don’t expect like losing your job or going through a divorce. We talk to Gloria Mitchell who has walked an extraordinary path from being homeless to receiving an MBA at Stanford University. 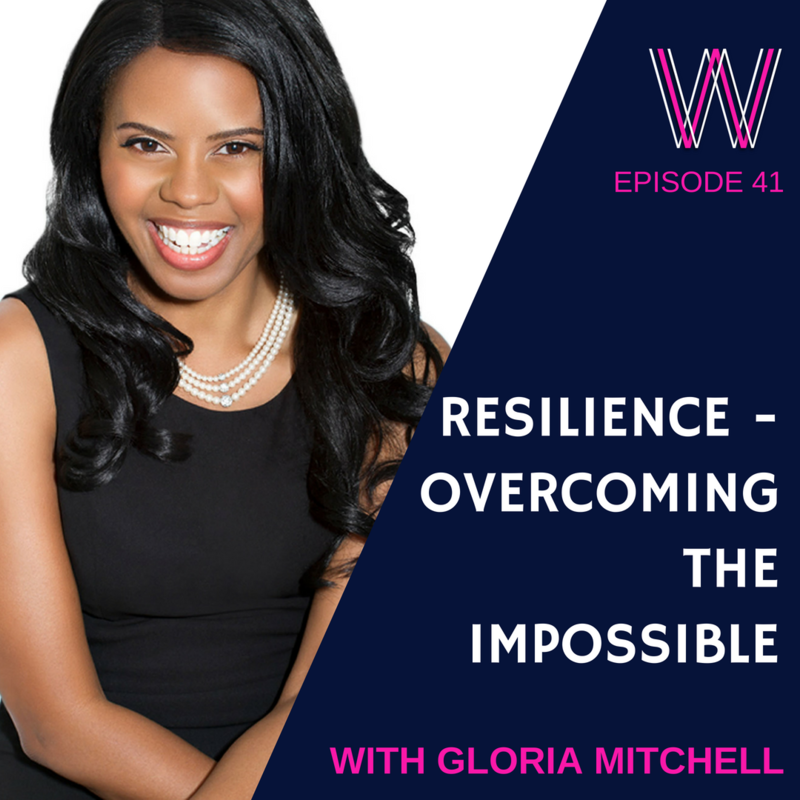 Gloria’s passion is to help people overcome the roadblocks that hold them back from living fulfilling lives. Download Gloria’s manual written just for us. If you enjoyed this podcast, you may enjoy our related content on reaching your financial goals, health and wealth, protecting your lifestyle, what’s beyond corporate, and matters on divorce. Announcer: 00:00 Welcome to Working Women’s Wealth. Where we discuss what it takes to build real wealth in a way normal humans can understand. Here’s your host, Lisa Linfield. Lisa Linfield: 00:21 Hello everybody. Today I am hugely blessed to be joined by Gloria Mitchell. Every now and then as you walk the pathway of life, there are people that come into your world or your space that just make the world a better place. And that just humble you in terms of when you hear and understand their journeys that they are just those people that are adding and contributing positively. So Gloria, thank you for joining us on Working Women’s Wealth. Gloria M.: 00:49 Well thank you for that introduction, I feel so honored. Lisa Linfield: 00:53 Well you do have a great podcast. Tell us a little bit about it. Gloria M.: 00:58 Okay. Well my podcast actually is called Living a Phenomenal Life. It’s a self-help podcast and on the podcast I talk about dealing with life’s challenges and at the same time enjoying the ride and making life enjoyable. I’ve had the podcast now for almost a year. It’ll be a year in October. It’s really been awesome. Lisa Linfield: 01:18 Was it a difficult thing for you to do or did it come naturally? Gloria M.: 01:22 It was difficult on one hand because I’m an introvert. But it was easy on another because I really felt called to do it and I think when you feel called to do something, even if you think it’s hard, it’s never as hard as you think it’s going to be, because it’s the path you’re meant to be on. Lisa Linfield: 01:38 I totally understand that. I mean for me this discovery of passion and the path that you’re supposed to be on energizes you in a way that can almost overcome your fears. Gloria M.: 01:48 Right, exactly. Exactly. Lisa Linfield: 01:50 So for those who don’t know Gloria, she has an amazing journey from homelessness to Stanford. Tell us a little about how you made that transition and what happened. Gloria M.: 02:02 Okay. Yeah, sure. Well a little bit about me, I grew up in unfortunately a very unhealthy and difficult home environment. At one point my adoptive mother came very close to ending my life and I had to get out of there. Needless to say. And so that began a long journey in and out of homelessness. What happened, the way I ended up at Stanford ’cause a lot of people really wanna know that, like how did you end up going from homeless to Stanford. Is that at one point I was able to get a job that paid for me to go back to school, in the evening. That was kind of the catalyst to everything changing. So I would actually sleep at the shelter, get up in the morning, go to work then go to school, and then go back to the shelter. And sleep. I did that for several months. But eventually I was able to get on my feet and get out of homelessness at least for a while, I did go back unfortunately. But yeah, that’s pretty much how that happened. Lisa Linfield: 03:09 Is that when you got what we would call an undergraduate degree? Gloria M.: 03:13 That is correct, yes. Yes. Lisa Linfield: 03:15 Why was it so important for you to get a degree? Gloria M.: 03:20 I had always been taught and really believe that education was the pathway for me to change my life. I had grown up probably in the lower portion of the middle class or the higher portion of the poor class, like right at the cusp. I just always been taught that education was the path to me having a better life and as a female, and an African American female, I knew it was important. In order for me to gain some control of my life and some stability of my life. Fortunately for me the company that hired me was willing to pay for my school at night, 100% – books, parking and everything. That really made a huge difference for me. Lisa Linfield: 04:01 So many people are taught that and in South Africa we have a huge rising amount of people who have come from poverty and do get an education but are then unable to get a job. And so the promise of a college education and the reality of the circumstances around them, both match. Did it match in your case, did it improve your circumstances? Gloria M.: 04:28 It did improve my circumstances. I think part of it I have to be honest, part of it was probably the times. I think now young people get an education to change their life. The path isn’t as easy. That doesn’t mean it’s not beneficial, don’t misunderstand me, I do feel very strongly that your life is better with the education than without because you want to have as many tools in your tool chest as possible, in life. But I do think it was a lot easier back then than it is now. You’re talking about, I’m about to give away my age but you’re talking about 20 years ago. So yeah, definitely a different time. But at the same time I still feel that getting an education, that’s probably one of the best ways to go from poverty but I also think that when you get that education it doesn’t necessarily mean you get that education and you go work for someone else. That’s not always the path out. Sometimes you can get that education and start your own business. But I definitely value education. Lisa Linfield: 05:27 So you got your undergraduate degree and how did Stanford become something that you wanted to work towards? Gloria M.: 05:34 It was actually during that first semester of my undergraduate time. I was at a bookstore and I was just browsing and I ran across a book talking about MBA programs and I read about Stanford’s MBA program. It just sounded perfect for me. I am a very proud nerd. So it sounded great. And so … The interesting thing is when you don’t have your own place you have a lot of time and you’re not prone to sit in front of the television for hours because you have no TV. Gloria M.: 06:10 So after I ran across that book and I read about Stanford’s MBA program, I actually went to the library and I mapped out at the time it was a five year plan, it ended up taking seven years. But a five year plan on how I was going to go from my current position of working full-time and working on my undergrad to getting an MBA from Stanford. I was very specific, I think the first year was probably planned by month and then after that it was like in six month increments. So I just charted my plan. Lisa Linfield: 06:44 You make it sound so easy. Gloria M.: 06:47 Well you did hear what I said. It was supposed to be five years and it ended up being seven, so. Definitely had some detours. Lisa Linfield: 06:55 Absolutely and I mean one would expect. But for most of us, or for most people one would say, “My chance of getting in is almost impossible.” Right now I am living in a shelter, working during the day, going to university at night. Most of us would go, there’s not a hope. The stretch is too far for our realm of possibility. Gloria M.: 07:23 Right, right. Yeah. No, that’s true and I actually talked about this in one of my podcasts episodes. Most successful people, I talk about olympians but many successful people do not focus on the probability. They just don’t. Whether you’re talking about an olympian or a start up. No one who reaches the highest level really focuses on the probability of success. They focus on the possibility. Is it possible. And as long as it’s possible I’m going to try to figure out a way to make it happen. And that’s kind of how it was. During my childhood I had gone to a private school, I had gotten this scholarship to a private school. I was able to see how the extremely wealthy lived. I wanted that and that stuck in my mind, even as a child. I said, “Okay. I want that. Whatever it takes to get that, I wanna have.” And so when circumstances happened that I became homeless, I still had that vision and I still had that goal. I was still committed to having that better life even if the path wasn’t clear. Lisa Linfield: 08:25 Do you think that it is easier, and I put that in the very least sense of the word “easy.” Do you think it’s easier when you have a desperate need of survival to do whatever it takes. Then it is when you are kind of okay? Gloria M.: 08:46 To some extent, yes. Because it’s like if you’re drowning, if you’re swimming you’re fine, you’re taking your leisure time. If you start to drown, you don’t care what anyone’s thinking. You are laser focused on not drowning. You don’t care if your hair is wet. You don’t care what’s going on, you’re just focused on not drowning. I think when you are in despair, or when life has handed you a raw deal you’re just focused on getting out of that situation. Those external things that other people would be concerned about, like what people are thinking or how is this going to look, that just becomes completely irrelevant. It just does. So in a way I think it is easier. It’s easier to be focused so the process is harder but I think your focus becomes very, very clear. Lisa Linfield: 09:33 Yeah. And the process is harder. You don’t have the same level of access to things that most people take for granted. Including a bed to sleep in. Gloria M.: 09:43 Yeah, exactly. I didn’t mean to laugh in the middle of that, but yeah I was thinking about that because I’m like yeah, even just nature calling you in the middle of the night. If you’re in a car, you don’t … It’s a completely different scenario than if you’re at your house. You just get up, you know. When you’re in your car, you like, “Okay, who’s open 24 hours day.” And how can I do this safely without anybody, you know. Lisa Linfield: 10:04 It is really a difficult thing. So you set your goal on Stanford. Lisa Linfield: 10:11 What does it take to get into a place like Stanford? Gloria M.: 10:16 A lot of hard work and a lot of luck. No, it does. I think they get about 6,000 or 7,000 applicants every year and I think they accept about 7%. For me it really took … Actually let me go back. I wanna go back and say something. When I set that five year plan to go to Stanford, one of the best things I did was I sent off for an application to go to Stanford. Even though I was in my first term of undergrad. I sent off for an application to get into the MBA program. And so that’s what I based my plan on, okay. Because I could see the questions, I could see everything that was important to them. So for the next five years my plan was mapped to that application. Well seven years later when I applied, that application hadn’t changed one bit. Lisa Linfield: 11:06 Oh wow. Gloria M.: 11:07 Yes. See so I had mapped my plan perfectly. I say this humbly but I was not surprised I had gotten in. Because I had made sure that I got the appropriate GPA, I think I graduated second in my class in undergrad, I was very studious. Had a lot of time. And had been very involved in the community because I knew that was important and I had made sure to get mentors throughout my career, and that was important as well. So when the application hadn’t changed I almost did a happy dance ’cause I was like, “Oh my god, this is awesome.” And I do wanna say something, I said that I had mentors. You know when people tell my story they make it sound simple and they make it seem as though I did it on my own. To some extent I did but I did have people who stepped in to offer advice and to guide me because this was a territory I was not familiar with. I was not afraid to go to someone who didn’t look like me. The majority of my mentors had been Caucasian males. I was not afraid to go to someone and say, “I don’t know this. Or I don’t understand how does this work?” Because I’m not from that world. I think when you are trying to transcend your circumstances, you have to put your pride on the side. You really do. Lisa Linfield: 12:17 The challenge often with dreams like yours and one that becomes such a huge focus is that the reality and the dream don’t match. Was that the case or was Stanford, you know, I had a dream of going to Oxford. My grandfather had gone to Oxford and people around me this was the dream and it was completely financially impossible. But when I went and worked in the UK for a number of years, I managed to save up because I was earning in pounds to go to Oxford. I always say that Oxford was the best year of my life. But for none of the things that I thought it would be. So I went in with a certain bit of preconceptions, very romantically conceptions and in actual fact it was completely different. None of those romantic things transpired. Having said that, the reality of it was still one of the best years of my life. It was fantastic because I walked around thinking I was so enriched by this unbelievable experience of going to one of the top universities in the world, but it was for completely different reasons. Gloria M.: 13:25 Yeah, no Stanford was an incredible place. I remember my first day I walked into my apartment and I unpacked and I was on the, I think the second floor, and I opened my windows and there were like these palm trees outside and I was like, “This isn’t a college this is like a vacation spot.” I was like, “This is like really great.” No, it was really a great experience. That being said it was not the experience that I thought I was going to have there. No, no. The first semester of my first year, actually the first week of my first year, I realized that I had a battle with Lyme disease in the past and I realized that it had affected my memory. So what was happening my first week of Stanford was that I was studying at night, going to sleep, waking up and having no memory of what I had studied. So they reduced my course load for the first term while I had about 40 hours of testing to figure out what was going on with my brain. And I’ll never forget when I got the results. I was sitting across from the neuropsychologist and he said, “Well Gloria,” … he goes, ” Overall I think your IQ’s still pretty high,” he goes, “But your short term memory is in the bottom percentile.” I thought I misheard him and I said, “I’m sorry. I didn’t catch the percentile.” And he said, “No. You’re in the bottom percentile.” I said, “No, you keep saying that. But what does that mean? I mean the bottom 20%, the bottom whatever,” and he’s like, “No. You’re short term memory is in the bottom one percentile.” I was sitting there stunned like, “Okay. How am I going to do this? How am I going to stay at Stanford, how is this going to happen?” I just looked at him and I said, “Listen. I worked so hard to get to Stanford, is there any way I can stay. Can I make this happen?” We developed a plan that included me taking I believe one more term with a reduced course load and medication and working with a person twice a week to try to kind of get my brain back on the right path. So eventually everything worked out. But the experience definitely changed my first year there. It was definitely not what I thought it was going to be because I wanted to be socializing and everything but I had all that going on. To be honest I was afraid to be around my classmates because I was afraid they would think I didn’t deserve to be there. Because I wouldn’t remember something. So I was like, “Oh my god, they’re going to ask me something or we’re gonna have a conversation and I’m not going to be able to remember it.” It wasn’t the experience that I initially expected but it was a learning experience for me. I definitely grew as a person. Lisa Linfield: 16:57 And how may I ask to do pass Stanford if you have a 1% memory? Gloria M.: 17:01 Well, [crosstalk 00:17:04] yes, yeah. Well what happens is which I didn’t know, the short term memory was 1%, the long term memory had been reduced to about 45-46%. So if I can hold it just a little bit it would kind of settle in there. So what we did was, one, we reduced my course load, two, we had so I would literally have to go to bed earlier and I would have to get up and study. So where you would like to study the night before I didn’t have that luxury ’cause that was going to increase the chances that I was going to lose the information. I had to get up at 3:00. And then start studying for the day so that I could retain. Then they had me work with someone twice a week just to kind of work on my memory. Remembering things. Reducing my stress level because of course as you become more anxious about the whole situation that just exacerbates everything. Lisa Linfield: 17:53 Can you build it? So if they were to test you now would you be better? Gloria M.: 17:56 Oh yeah, no I was retested at the end of my time at Stanford. Because I wanted to know. I knew it was better but I just needed to have that in my mind. I wanted to know, I wanted to see it. I wanted to see it. Like I’m pretty sure I’m better, I wanna see this. And yes, it was standard. So now we’re about 70%. Now I will say this and I think this maybe this can help some of your listeners that Stanford has a system where if you are in the bottom 25 percentile I believe, for the end of the first term, you receive a letter from the dean, academic dean, saying you’re in the bottom 25% this term. If you’re in the bottom 25% the next term you will be placed on probation. Well that first term I was in the bottom 25th percentile and you can imagine having graduated second in my undergraduate class. It was very humbling to get a letter saying you’re in the bottom. But I knew that was going to happen because my course load was reduced, I was getting 40 hours of medical testing. And so I was like, “Okay. This is just great. But is it gonna all right.” Then at the end of my first year which was the end of the third term, Stanford’s on the quarter system, I received another letter. And I was like, “Oh god. I’m going to be on probation.” And it said, “Congratulations. You’re in the top 25th percentile for this term,” and I’m like, “Oh my god.” I was like okay, we’re gonna be all right. Lisa Linfield: 19:16 We’re gonna absolutely. And so do you go to Stanford and the usual path of people who go do MBA’s at great universities is that you go into the corporate world in banking or accounting, or something like that. And off you go to this life of great salaries but not much life. How does that work? She said, “The good news is you don’t have leukemia.” I had a sister who died of leukemia so they thought that was a concern. “And that the bad news is we think we see a brain tumor.” And so after she said that and after I had to deal with a brain tumor then that changed because then it was like, “Okay. We’re not going to waste time doing something I don’t wanna do.” I really feel called to do the life coaching, I really feel called to do the speaking. That began my path. I mean I had to deal with the brain tumor but that began my path on doing the life coaching and the work that I do now. Lisa Linfield: 21:06 So you’ve made an incredible journey, yourself. Both from the pulling yourself up from the bootstraps of being homeless, etc. That’s almost a physical journey, a chronological journey. But it must have come with an enormous personal journey which obviously gives you integrity to help other people. There’s a huge gap between our intentions and our realities. There’s a huge gap between me wanting to change my situation and me actually changing my situation. What do you think is the key thing that is the difference between people who are able to change their circumstances and people who aren’t able to? Gloria M.: 21:48 That’s a good question. I think a lot of it comes down to really one, accepting your situation. I know that sounds kind of silly but what I find is sometimes people have things happen to them and but say, they lose a job or their spouse is unfaithful. So they have things happen to them and in theory they want a better life but at the same time, they’re struggling with accepting what’s happened to them. Does that make any sense? Gloria M.: 22:30 You can’t … Yeah, exactly, exactly. So I think that’s really a huge part of it but I think one of the other things that’s really important and makes a huge difference probably one of the biggest differences is having a very strong why. A very strong reason to make that change. You can take someone who wants to make a change, let’s say wants to lose weight. They know they need to lose weight, they know they need to stop eating junk food, they know they need to exercise. And they don’t do it. They have no desire to do it. Just not gonna happen. They say they want it but it’s just not really a strong desire. You can take that same person, have them go to the doctor, and the doctor says, “Okay, you have diabetes. If you don’t make changes you’re gonna be dead in six months. Or you’re gonna lose your legs in six months guaranteed.” That same person who just yesterday couldn’t do it, wasn’t motivated enough completely changed, you know, oh what do I need to do? Signing up at the trainer the next day and doing what they need to do. So I think a huge part of it also has to do with having a very strong want. Lisa Linfield: 23:47 Oh, it’s wonderful. It’s audience participation like on steroids because it’s really kind of engaging so it’s not just you talking to them. One of the questions I asked was, “How many of you have a clear goal that you’re striving for that’s maybe written down or that’s that clear that you can kind of articulate it?” And only 36% of the audience said, “Yes.” Afterwards when I was speaking to people and they’d come up and chat. One of things that came up was, I don’t really know what I’m passionate about. I don’t really know what you know, the enemy of great is good. My life is kind of fine but I don’t know a clear thing. How do you get a strong why. You know that actually your life could be a lot better than it is, or you could make a change or maybe you’re not obesely fat but you wanna be … Maybe you’re just like a little bit pudgy. When you’re in a situation of comfort, how do you create a why that is strong enough to make you change? Gloria M.: 24:46 That’s a difficult question. I think this might not be the answer you want but I think you really have to be honest with yourself. You really have to ask yourself, “Is this something you really want.” I mean because the reality is we are adults and many almost all of us, if we really, really, really, really, really want something we’ll do it. Whether it’s you really, really want the donut. No, but you really have to. I was listening to another podcaster talk about her challenge with weight and with exercising and I remember thinking at this stage, one, she doesn’t have a strong why and two, she doesn’t really, really wanna make the change. Because she was worth several millions and could easily have a personal trainer, could easily have a personal chef, could easily have many things to make the process easy. So it wasn’t an issue of this is really hard it was just an issue of it’s not something you really wanna do. I think sometimes we like to say we want something and maybe we do, maybe at about 10% or 20%. But were not in the 90% or the 100 percentile. We’re not really hungry for it. Because when you really want to make a change, you will do what you need to do to make that change. So I think a lot of it, and it’s not a popular way to think about it but a lot of it really comes down to really being honest and saying, “Is this something I wanna keep saying I wanna do but I really don’t wanna do. Or is this something I really want to do.” Because I just think so many people say they wanna change but they don’t want the change if the change is hard. And the reality is most changes are, they are. They’re difficult, they require sacrifice and you only go through that sacrifice if you think it’s worth it. And if you really, really, really want it but if you only kind of want it you’re not going to go through that uncomfortableness because there’s not this strong desire. Lisa Linfield: 26:41 I mean I struggled so hard with this. Because when you are far away from for example retirement, or your eventual financial freedom. Lisa Linfield: 26:49 It’s very difficult to get people to understand that you really wanna save for retirement. Because most people don’t have that experience of what working with retired people that don’t have enough money is. So in my other business, in my wealth management business, I have to tell people that actually at 72 you need to go back to work. Because you’re not going to have enough money. It just creates this sense of panic in me. When I look at my friends and I look at people I know and even my clients, where I say to them, “You really, really need to begin saving more money for your retirement.” And they all say, “No, no. Definitely. Absolutely. I’m definitely going to increase my debit order.” And then three months, four months, five months later you’re having that exact same discussion and it’s like, “Oh no. I really wanna save more money for retirement.” It’s like, hello. It’s really like watching that train come to hit someone. You really wanna step off the track, you really wanna step off the track, you really wanna step … And I know that at some stage I’m gonna be sitting there going, “You know you can’t retire now because you’re gonna have to work another [crosstalk 00:27:58].” ‘Cause I mean the real challenge with money like health is it’s an every day thing. I always say people don’t wake up one day and go, “Okay. Today I wanna be fit.” It’s an accumulation of multiple days of stuff. [inaudible 00:28:10] is you can’t wake up when you’re 59 and go, “You know what? I’m going to quickly go on a crash diet and save for retirement.” It takes years, and years, and years. So I always when I listen to people, would love to find out the key of how do you create a really strong why for things that don’t have a short term horizon. Gloria M.: 28:33 Yeah, no. It’s definitely difficult and I think for many people unfortunately they only get the fire under them when something happens to them or it happens to someone else. So you might have a client who’s very lackadaisical about it but then if they see that one of their peers has to start working in they’re 70 then they’re quickly go, “Oh I don’t wanna do that. Oh no, no. Lisa you gotta get me out of that. I don’t wanna be, no I see it now.” Sometimes people do have to see it in order to make the change, they do, they have to see it. I think once you can bring in an emotion, unfortunately sometimes that’s fear, but once people can tap into an emotion then they’re more likely to find their why. So in your case or in their case, if they were to see one of their peers having to work at 70, they would be like, “Oh no, no, no. We need to find a plan.” Because I see what you’re saying and for some people they need to kind of see it actually in front of them. Either in their life or in someone else’s and then they’re like, “Oh, okay. No, I don’t want that.” In my case I lived in a, I guess lower middle class, upper lower class neighborhood and I went to school though with people … I mean one girl, her grandfather had an elevator in his house. Okay. So I could see the opposites and I knew I was like, “Okay, no I see how these people where I lived are really struggling and how they have to work so hard. And how things are really hard and I see how easy it is for these other people as I go, “No. I want that.” So that was my why ’cause I could see that and I think it’s just very important for people to kind of see what can happen. I think that pushes people. But it is, I mean “the why” is really, it’s important and it doesn’t have to be, I don’t think it has be anything mind-blowing. It doesn’t have to be, I’m going to do this for my kids. I could be if you have children but it could be something as simple as I’m going to do this because I know I deserve better than what I have. Gloria M.: 30:31 Oh, yes. Lisa Linfield: 30:32 I have a medical background and I know the importance of exercise and health and all that kind of stuff. But it was only six years ago when I got a personal trainer because my why was strong enough because I was exceptionally weak from having a very difficult pregnancy. So my why was strong enough to get the personal trainer but once I had a personal trainer, I then realized that it changed the conversation in my head. It was no longer a conversation in my head of do I feel like going to gym. It was a conversation in my head of do I feel like wasting the money. Lisa Linfield: 31:07 And I saw six years later [inaudible 00:31:08] year. [inaudible 00:31:09] instead of waste my money [inaudible 00:31:15]. And especially even more so when I’m no longer on a corporate salary, it’s like, “Okay. I now understand this whole thing of an accountability partner.” When it’s someone that you actually have to rock up and kind of report to. Lisa Linfield: 31:28 That you’re paying to support you. [inaudible 00:31:30] make the effort. One of your key interests of study and reflection and focus in life is resilience. What does resilience mean? Gloria M.: 31:43 The simple answer is I always say it’s when life hands you a raw deal you keep going. But it is the ability to bounce back. I think in my life I have spent a great deal of time observing people who were resilient. And I spent a great deal of time trying to understand why two people can experience the same thing and one bounce back from it. One continue on and one be completely destroyed by it. And then trying to understand that. I’ll never forget this. I was at … And I still remember this, it’s been over 20 years. I was at Stanford and I was going through my challenge of being in the bottom one percentile regarding my short term memory. I was at the disability office ’cause they have a disability office at Stanford and so I was considered to have a learning disability now all of a sudden because I didn’t have a memory. I was talking to the lady and she said, “You know you have to meet Michael.” And I was like, “Why do I have to meet Michael?” I’m taking 40 hours of testing here, what are you talking about? She says, “You need to meet Michael.” I said, “Who’s Michael?” “He’s a student.” I said, “Okay. Why do I need to meet him?” “You just need to meet him.” And I was like, “Okay, fine.” So I emailed this Michael guy and I said, “Anne says I should meet you.” And he’s like, “Okay. You can meet me in the student center in the disability center.” I was like, “Okay.” So I go to meet Michael. I open the door and I see this guy and he’s standing there. And I notice very quickly that he’s blind. I’m thinking, what is she thinking. I understand he’s blind but he doesn’t understand what I’m going through. I worked hard to get into Stanford and now I’m not sure I’m gonna be able to stay here, and I understand he’s blind and I’m sorry he’s blind but this is really a waste of my time. Then he started to talk to me. What I found out was Michael was now working on his Masters at Stanford but he had come to Stanford as a freshman. He had come to Stanford as a freshman with his full sight. And had gone blind his first term. I thought, “Wow. How do you rebound from that? How do you function from that like what do you do?” ‘Cause you get into Stanford, you have your sight and then within your first term you go blind. And so I began to just discuss with him, what did he do, how did he process things. I think that’s where my journey started on, really just studying people and their resiliency and how some people can bounce back from something like that and Michael went on to get his Masters from Stanford and to go on and work at Microsoft and go on to be married and have kids, and so forth. But I knew that not everyone would’ve been able to do that. Not everyone’s able to make the mental shift and some people would’ve just dropped out of Stanford and just gone home and called it a day. So yeah. Lisa Linfield: 34:32 Why do some people bounce back and some people don’t? Gloria M.: 34:36 A lot of it has to do with accepting the situation. I talked about this previously, but I think that one of the hardest things for people to accept is that sometimes you can do everything right in life and still end up in a bad spot. Whether that’s from a health perspective, or financial perspective. What happens is some people, it’s kind of perplexing to watch, but they live in denial. Like they know what’s happening to them but they can’t fully accept it. This isn’t happening, but it is happening. I think that the people who struggle, are the people who spend the longest time in that part. Really accepting what has happened. So if it’s a life-altering change, accepting that that change has occurred. Just fully embracing that. Then also just dealing with the emotions that come with that. That’s a dangerous territory because what sometimes happens is people can’t deal with it, they don’t deal with the emotions and then they start on self-destructive behavior. You become proactive as opposed to being reactionary. As opposed to just letting things happen to you. Does that make sense? Lisa Linfield: 36:43 It absolutely does. So once I’ve made that decision I’m gonna fight back, then what? Gloria M.: 36:49 Then after you’ve made that decision you’re gonna fight back, you really do need to go back to what we talked about, which is “the why.” Just finding that why. Why are you going to fight back. The reason this is important is because once you’ve made the decision to fight back that doesn’t end the battle. So I can make a decision that I’m going to fight back but I’m still going to have the up and down. Some days are gonna be great, some days are going to stink. But if you sat down and talk to yourself and said, “Why am I doing this? Why is it important for me to make this change? Or why is it important for me to fight for this life that I want.” Then that why can fuel you during those times when you feel like giving up. But that doesn’t mean that you don’t fight. Okay. I always tell people even if you make a decision that you’re going to change your life, and even if you have a strong why, it doesn’t mean it’s gonna go great. It doesn’t mean you’re not gonna go kicking and screaming. I always say, “Yes, I changed my life but I went kicking and screaming and cursing the whole way.” I changed it but it wasn’t easy. Gloria M.: 37:54 It wasn’t easy. Lisa Linfield: 37:54 Then one of the things that you talk about is this whole concept of planning with our pride. What does that mean? Gloria M.: 38:02 When you have something happen and you are trying to chart your way out of it, you have to become laser focused on it. You can’t worry about what people are going to think, if people are going to see you walk into the food bank or if people are going to see you walk into therapy. You can’t concern yourself with that. You have to say, “Okay. What is the best path for me to take to get out of this situation.” And not concern yourself with other people. What often happens with people is that they know what they need to do. What the best path is for them to start to bring some stability to their life so that they can bounce back. But they become overly concerned with what other people might think so they don’t take the direct path. And so they’ll go what if someone sees me doing this, I can’t do that so I’ll do this and then it just becomes this reactionary experience and you spend more time in despair because you’ve planned with pride in mind. You’ve thought about what people were thinking and you just can’t do that, you need to be laser focused. It’s like drowning, you just have to be laser focused. When you’re drowning you’re trying to survive. You don’t care what’s going on around you, you don’t care if you’re hair falls apart. You don’t care if your makeup … You just don’t wanna drown. That’s the kind of focus you have to have when you’re planning to get out of despair. Lisa Linfield: 39:21 But one of the challenges with that is that often when you’re trying to get out of a situation, is the people that love you most. They don’t support you in getting out of a situation. How do you deal with that? Gloria M.: 39:36 I’m a strong believer in protecting your mental space. And protecting yourself from any negativity. When you are trying to bounce back from something, you are running against wind that is probably, we’ll just say 20 miles an hour coming at you or 50 miles an hour coming at you. But if you allow negativity either from people or from the news or from something you read, you are feeding that wind. You are now fighting against wind that’s like 100 miles per hour coming at you. So I feel very strongly that when you are going through a difficult time, and you’re having to really be careful what enters into your mind. You might have to limit your contact with people who are negative, or you might just say, “You know what? I’m going through a really difficult time right now and I really need to only have positive energy around me.” And of course they might look at you crazy the first time but the objective is for them to stop feeding you negativity. So just focus on that. But yeah, that’s the most important thing because it is a problem for people and there have been times in my life where I’ve had to unfortunately eliminate people from my life when I was going through a difficult time because they were just feeding negativity into me and making it harder for me to move forward. Lisa Linfield: 40:57 What happens if it’s not someone out there. If you’re your worst enemy? Gloria M.: 41:03 Yes, that is important. No, no. When you are going through a difficult time it’s normal to get into a negative space. Negative self talk. It’s normal to kind of like misery loves company, so you listen to sad music, you watch sad movies, you listen to the news because you don’t wanna feel like you’re the only person in despair. But again, it’s just very important that during that time, and actually any time but particularly during that time you watch how you treat yourself. You watch how you talk to yourself. If you catch yourself saying something negative or saying, “Oh this isn’t going to work out.” You say, “No, no. I’m doing everything I can. It’s gonna work out.” You just talk to yourself in a positive way. You also take care of your health, and this is something that people really struggle with when they’re going through a difficult time because … I’ll be honest, when I’m going through a difficult time, I don’t feel like exercising. I don’t feel like eating well, I feel like I’m suffering already I should be able to eat whatever I want to. He just knew he had to do something to counter the negativity and to counter the impact that stress was having on him. So I think that there’s so often we have things happen to us and we feel like we lost our power or lost our control but quite often we don’t realize that there’s always so many things that we are in control of. One of those things is how we take care of ourself physically and mentally. We’re almost always in control of that. Lisa Linfield: 43:17 Yeah. I look at you and I think my goodness gracious me. You’ve achieved so much and you’ve done it against the hardest of odds. And all of that I can’t possibly think that you could do it any differently. You seem to have done it amazingly. If you were to talk to your younger self, or someone who is in a homeless shelter or going through a tough time, or anything. If you were to give one piece of advice, to this younger person what would it be? Gloria M.: 43:45 If it was myself I just have to know how I am. When I was going through a difficult time, I remember just always saying to myself, “It always comes down to belief. It always starts with beliefs. It’s always about belief.” You have to believe that it’s possible for you to change your life even if you can’t see the pathway. Even if you can’t see the staircase. It starts with belief. Now the one thing I would add to that is that always remember that no matter what you are going through, there is someone out there whose gone through it and overcome it. Okay? You might not know them, but whatever it is, trust me, there’s someone whose overcome it. And you can as well. Lisa Linfield: 44:31 And then that creates that sense of possibility. Gloria M.: 44:34 Yes, yes. Exactly. It all ties back with that. You really do have to believe that it’s possible to change your life, that’s what it starts with. Okay. You can eventually find the resources. You can chart the path, you can break the sweat. But if you don’t truly believe that it’s possible, it’s not. Because you need that. That’s the base. Lisa Linfield: 44:57 It’s the most powerful base art. When I was speaking last week I said, The characteristic I didn’t understand, because I don’t think I’d ever lost it when I did lose it, was hope. That hope of something different or that belief of something different. I always would say, I’d go to people’s houses and see faith, hope, and love on the wall and I think, I get faith, I get love, but what’s so big about hope. Until you’re in a position where you lose it. Lisa Linfield: 45:25 [inaudible 00:45:25] now I understand. I now get this whole thing of life is completely dark if you don’t believe, that there is something different out there. Until you’re in a place where you think that there is no way forward. You actually cannot understand how powerful it is, and as you said, there’s someone out there that’s overcome it all. Gloria M.: 45:48 Right, exactly. Looking back on my life, and the people that I’ve met along my journey. People in this world have overcome some amazing things. Just amazing things. I think sometimes we forget that or we think that they must have something special that we don’t have. And that’s not true. Whatever was within them is within you as well. And if they can overcome it you can as well. Lisa Linfield: 46:10 I think one of the things is letting go of a fixed view of what the world is and how it should be, and how it could be. And much more around an understanding that it is as it is. And the quicker, as you say, you accept the situation, and try and work out why it happened to you. Gloria M.: 46:30 Exactly. [crosstalk 00:46:32] You can spend a long time in that place. Lisa Linfield: 46:35 Right, exactly. Exactly. When you get out of that place you look back and you think why did you spend so long, why don’t you just move swiftly through that. Gloria M.: 46:43 Right, exactly. Lisa Linfield: 46:44 But it’s part of your journey and it’s part of what makes us all who we are. Gloria M.: 46:47 Right, exactly. And not being ashamed of that. I think my life really went on a projectary when I stopped being ashamed of my past. Stopped being ashamed of what I didn’t have or didn’t know. You know, that kind of holds some people back. I think they kind of get … What if people find out that I used to be poor. What if people find out that … I’ve found that most people who are respectful people admire you if they realize you’ve gone through a lot to get where you are. Lisa Linfield: 47:16 Yeah. No it is and you know what I always say. I sit in this seat today for everything that’s gone in the past. If one thing was different I wouldn’t be sitting in this seat today. Gloria M.: 47:27 Right, exactly. Lisa Linfield: 47:28 And I love where I am so therefore good and bad it’s all part of the tapestry that is my life. I could just sit and talk for hours. [inaudible 00:47:37] mindful of people’s time. If people wanna learn more about you, how do they do that? Gloria M.: 47:45 Well the best way to learn more about me would be to go to my website which is at gloriamitchell.com. And they can definitely check out my podcast which is Living a Phenomenal Life. Lisa Linfield: 47:55 Wonderful. And there’s something that you’ve created for us. What is that? Gloria M.: 47:59 Yes, I have a free PDF on how to get through a difficult time that your audience can print out and I intentionally made it one page so that you could print it out and pull it out whenever you need it. Lisa Linfield: 48:14 Oh fantastic. Gloria M.: 48:15 You can get that by going to gloriamitchell.com/wealth. Lisa Linfield: 48:20 That’s fantastic and thank you so much for that. I really appreciate. I really appreciate because all of us have times when we need to bounce back, so I’m grateful for your time and for your sharing and just for the amazing human that you are. Thank you for sharing your story with us. Gloria M.: 48:35 Thank you and thank you so much for having me. I really appreciate it. Lisa Linfield: 48:38 Wow, I don’t know about you but I’m seriously inspired by this interview with Gloria. In particular I’ve been thinking about the difference between something being probable and something being possible. I think too often we focus on the probability of something happening and not the possibility that it could actually come off and it actually could work. We kill our dreams far too early. Before we’ve even had the chance to see what is possible. 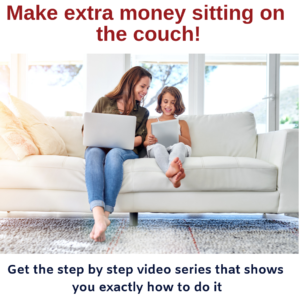 I’m Lisa Linfield and this is Working Women’s Wealth and I would love for you all to refer a friend to the podcast because it is as you know my aim to teach a million women about money in the next seven years. Take care and have a great week.